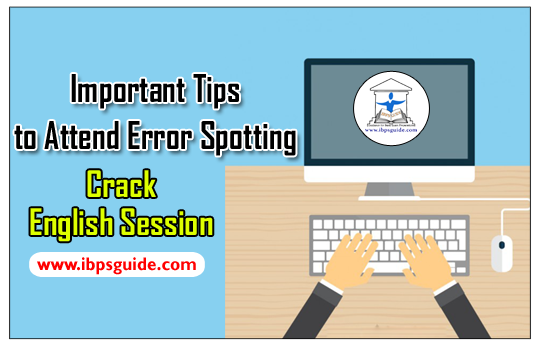 Dear Aspirants, In Today’s Session we are going to discuss about the Important Tips to Attend Error Spotting with Exercise Questions based on usage of PRONOUN. 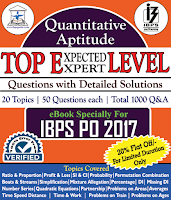 Candidates those who are preparing for upcoming SBI Clerk / IBPS Exams 2017 and all other competitive exams can use this. PRONOUN is a substitute for noun. 1). Personal pronoun: Used in subjective place. 2). Objective pronoun: used in object place and in passive voice. Eg: The letter is written byme. 3). Reflexive pronoun: Used for the sake of emphasis. 4). Possessive pronoun: Used to show possession. Former pronouns like my, our, his, your, her, it, there is followed by a noun whereas, Later pronoun like mine, ours, yours, hers, its, theirs doesn’t. 5). Demonstrative pronoun: Used to point out the objects to which they refer. Eg:Thisis a present from my aunt. These are mine and those areyours. Eg: This is the boywhoworks hard. 7). Indefinite pronoun:Used to persons or things in a general way but do not refer any-body in particular. Noneof his problems is solved. 8). Distributive pronoun:used to refer persons or things at a time. Eg: Eachof the girls sings well. i) Separate persons, the pronoun used for them must be plural. ii) The same person, the pronoun used for them must be singular. Eg: BothManas and Appu showed their fondness fortheir father. 2. When two singular nouns joined by and preceded byeach or every, the pronoun must be singular. Eg:Everyteacher and every student gothis dress ready. 3. When two or more singular nouns are joined by,oreither…or,or neither … nor, the pronoun is generally singular. Eg:NeitherManinor Guni has broughthis identity card. 4. When a plural noun and a singular noun are joined byor / nor, the pronoun must be in the plural. Eg: Neither the father nor his sons cared for their books. i) singular number, if the collective noun is viewed as a whole. ii) plural number, if the collective noun conveys the idea of separate individuals. Eg: The Committee decided the matter without leaving their seats. 6. A personal pronoun must be the same number, gender and person as the noun for which it stands. Eg:Everyman must lovehis own history. 7. When the following verbs are used reflexively, a reflexive pronoun must be put after them: absent, acquit, apply, avail, enjoy, exert, forget, over-reach, pride, resign. 8. The following verbs are usually not followed by a reflexive pronoun: bathe, break, burst, feed, form, gather, hide, keep, lengthen, make, move, open, qualify, rest, roll, speed, steal, stop, turn. 9. A reflexive pronoun cannot be used as a substitute for the subject. Eg: Mohan and I decided to join politics. 10. In refering to anybody, everybody, everyone, anyone, each, etc the pronoun he or she is used according to the context. But when we are not talking categorically of the females, the pronoun of the masculine gender is used. Eg: Each can buy whateverhe wants withhis money. 11. The indefinite pronoun ‘one’ should be used throughout if used at all. Eg:Onemust not boast ofone’s own success. 12.‘Either’ or ‘Neither’ is used only in speaking of two things or persons, ‘any’, ‘no one’and ‘none’ is used in speaking of more than two. Eg: Either of these two roadsleads to the railway station. 13. ‘Each other’ is used in speaking of two persons or things; ‘one another’ is used in speaking of more than two. Eg: The two brothers lovedeach other. All my brothers lovedone another. 14. A noun or pronoun governing a Gerund should be put in the possessive case. Eg: Please excusemy being late. 15. A pronoun must agree with its antecedent in person, number and gender. Eg:Eachof these boyshas done his home work. 16. None is used in the singular or plural as the sense may require. Eg:Each boywas accompanied by an adult but therewas none with the Orphan. 17. Anyone should be used when more than two persons or things are spoken of. Eg: I could not meet anyone of my three brothers at home. 18. A distributive pronoun is used as a singular. Eg: Either of the choices fits the answer. 19. Each may come after the object of the verb only if the object contains a number. Eg: The studentshave contributed fifty rupees each. 20. The relative pronoun that has no possessive case. Eg: The medicine of which alcohol is a component is prohibited for him. i) after adjectives in the superlative degree. ii) after all, same, any, none, nothing, only. iii) after the antecedents, one denoting a person and the other an animal or thing. iv) after the interrogative pronouns who, what.in other places only ‘that’ is used. Eg: It was the best foodthat we ever tasted. 22. 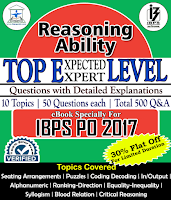 After let, if a pronoun is used, that pronoun must be in the objective pronoun. 23. When two or more singular pronouns of different persons come together, the pronoun of second person singular (you) comes first, the pronoun of the first person singular (I) comes last and the pronoun of the third person singular (he) comes in between. Eg:You , he and I must work together. 24. When two or more plural pronouns of different persons come together, the first person plural (we) comes first, then second person plural (you) and last last of all the third person plural (they). Eg:We, you and they must work together. 25. With superlative degree adjective, only, none, all, etc., as relative pronoun we use that and which or who. Eg:All that glitters is not gold. Dear Aspirants, Below we have given some exercise questions which may consist of errors (based on PRONOUN), check whether the statement has error or not if any give your answers in the below comment section. 1. The women demanded her right to live. 2. Sandhya was one of those Miss Universe contestants who attributed her success to her parents. 3. Each book and each pen are costly in their appearance. 4. Either Kishore or Pradip has left behind their cap. 5. He and I have done his duty. 6. It was her who did the cooking. 7. Let we are the bidders at the auction. 8. I have contributed to the team as much as him. 9. My cow gives more milk than his. 10. Each has their own grievances to give voice to. 11. Anyone of the two ministers were not available for comments. 12. The women performed puja each. 13. He is the same man who was arrested yesterday. 14. That what cannot be cured must be endured. 15. Mr.Chakravarthy with his luggage left the town which was heavy with clothes. 1). Women – the plural of woman. So the pronoun also must be in plural form. So, ‘The women demanded their right to live’. 2). The pronouns her and her both are associated with the relative pronoun ‘who’. ‘who’ refers to those and not one. So ‘ Sandhya was one of those Miss Universe contestants who attributed her success to their parents’. 3). Remember the rule 2, so it takes singular verb.‘Each book and each pen is costly in their appearance’. 4). Two men usually do not wear the same cap. It must belong to only one. ‘Either Kishore or Pradip has left behind his cap’. 5). 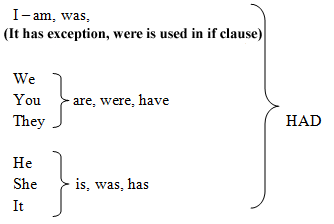 Two pronouns used as a subject so the following pronoun also must be in plural. ‘He and I have done our duty’. 6). It gives the questioning of verb with incomplete predicament ‘WHO’. It gives the answer as ‘she’ not her. ‘It was she who did the cooking’. 7). Remember rule 22, ‘Let us are the bidders at the auction’. 8). As much as is a compound conjunction. So him is not used he is the correct usage. ‘I have contributed to the team as much as he’. 9). The sentence is correct, it represents the owners of cow. ‘My cow gives more milk than his’. 10). Remember rule 2. ‘Each has his own grievances to give voice to’. 11). When we talk of two only, either is used, not anyone, also either takes singular verb. ‘Either of the two ministers was not available for comments’. 12). Each could have been thus used at the end if puja were considered aas countable and the number of pujas mentioned. As it stands now, puja has been used simply as worship. So ‘Each of the women performed puja’. 13). The same should not be followed by ‘who’, but by that /as. ‘He is the same man that was arrested yesterday’. 14). WHAT itself means that which. So do not use that. ‘What cannot be cured must be endured’. 15). What was heavy with clothes? The luggage or the town? Obviously, the luggage. So, which was heavy with clothes should come immediately after luggage. ‘Mr.Chakravarthy with his luggage, which was heavy with clothes, left the town’.